Any ideas why there is no option to start the C2WTS from Central Administration? I started the service on all servers in the farm and set it to automatic. The set the service account in Security. Looks like you installed SharePoint 2016 in a MinRole-Deployment. MinRole automatically starts and stops service instances on each MinRole-managed server in your farm based on the server role. Your screenshot doesn't tell us, which Role your server has. Maybe this article helps you to configure MinRole to your needs. Please provide some Screenshots from Central-Administration -> Manage Servers in Farm of your MinRole-Deployment if you need further help. 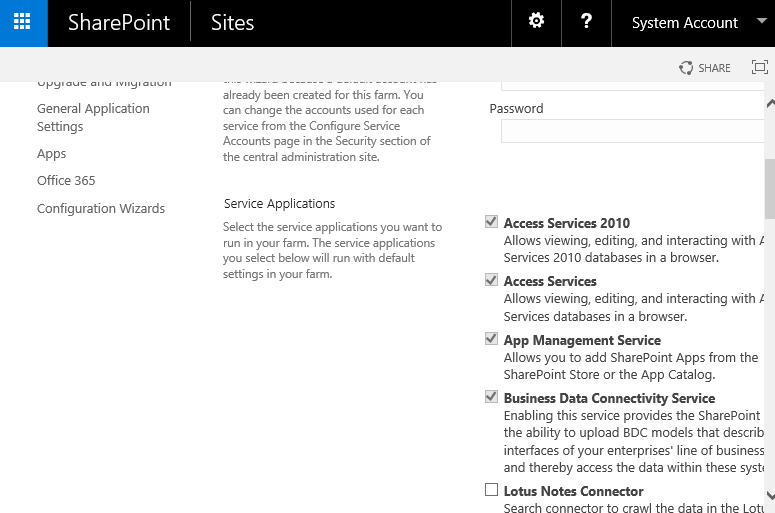 The "Start" button is removed from "Services in Farm" in SharePoint Server 2016 MinRole environment. If you want to start services, please go to "Configuration Wizard" to select the Service Application which you want to enable. Thanks to MHeld's answer, I found what I needed. This is my first MinRole farm. I found an article on Managing a MinRole farm that showed how to start and stop services. A simple Start-SPService worked. Adding my two cents, In 2016 with MinRole topology there is little change. Every role has a dedicated service attach to it. If you stop that service which required for the assigned role then overnight health analyzer role will start it again( this rule is controlling the compliant section of the services). Same thing, if the service is not part of the selected role and you start it then over nightly run health rule will stop it again to make the server compliant again. Like if you will start the C2WTS on search minrole server it will stop next day. Check this technet for more info, which role has what services. Not the answer you're looking for? 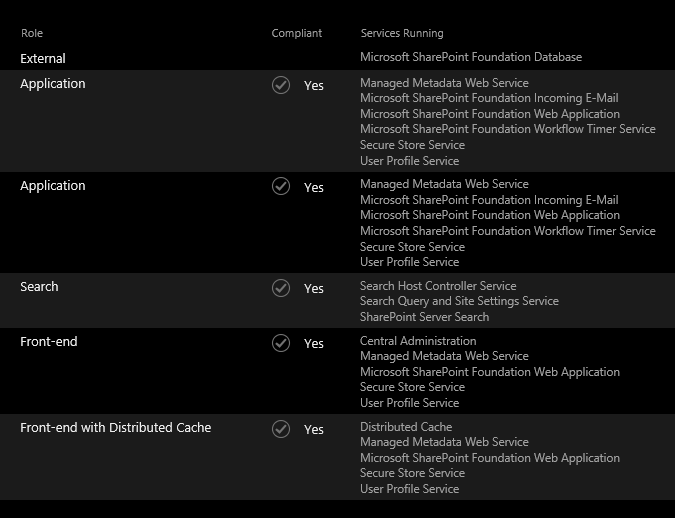 Browse other questions tagged sharepoint-server 2016 or ask your own question. Is it the best practice to run user profile service in WFE servers and search with user profile service?